Natural beauty, ancient wonders and excitement at every turn — Riviera Maya is full of surprises. Explore impressive Mayan temples and stunning underwater seascapes. Enjoy a yoga class at sunrise on the beach or nightly shows in a theater. Dive into a sumptuous, 5-course dinner or the cool water of your swim-up suite. Whatever your expectations are, a Riviera Maya vacation will take you there and beyond. 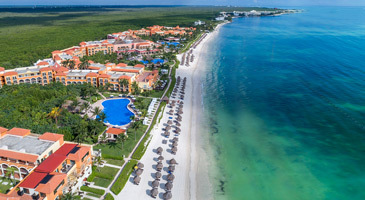 *Sample Pricing: This offer is available from hundreds of origin cities, but this price, which reflects the offer, is based on travel between Atlanta and Cancun, staying at UNICO 20º87º Hotel Riviera Maya. Price is per person, based on double occupancy and select Sunday departures and Friday returns, July 14 – 19, 2019, and is subject to change. Additional restrictions and baggage charges may apply. See Terms and Conditions for details. All-inclusive Catalonia Hotels & Resorts offer guests the chance to retreat, refresh and unwind in any way they choose. Each hotel boasts an ideal, sultry ambiance. Guests are treated to verdant tropical landscapes; powdery beaches; thrilling watersports, activities and entertainment; multiple lounges; delightful accommodations; and exceptional service. This all-inclusive Mexican resort provides the perfect setting for an unforgettable tropical getaway. Fronting a beautiful white-sand beach and spectacular off shore coral formations, divers and snorkelers will love exploring the waters surrounding the resort, while four distinct pools for kids and adults, a spa, and daily activities ensure enjoyable stays for each and every guest. Set on the stunning white beaches of Riviera Maya, UNICO 20°87° immerses guests in the culture of the region — from the locally inspired cocktails and cuisines to the art in the rooms. Three unique pools and a holistic spa and wellness center drive home a sense of relaxed luxury, while exciting pop-up events insert a touch of spontaneity into the experience. 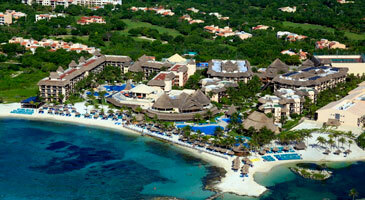 *Price is per person, based on double occupancy at UNICO 20º87º Hotel Riviera Maya, between Atlanta and Cancun. Sunday departures and Friday returns via nonstop service on Delta and certain Delta codeshare partners, and is valid for specific travel dates July 14 – 19, 2019. Advance purchase requirements vary. Other travel days and dates and accommodations are available at other prices. May require travel on specific flights or times; blackout dates may apply. 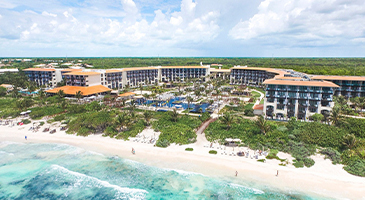 Purchase any Delta Vacations flight and hotel package from any Delta Vacations origin in the U.S. or Canada to Riviera Maya, April 1 – 30, 2019, for travel April 1 – December 31, 2019. Participating hotels include: Mexico: Riviera Maya — Catalonia Playa Maroma, Catalonia Riviera Maya Resort & Spa, Ocean Coral & Turquesa and UNICO 20º87º Hotel Riviera Maya - Adults Only. +5% bonus commission on land in eligible room categories. Eligible rooms at UNICO 20°87° Hotel Riviera Maya include: Estancia Suite Tropical View, Estancia Suite Ocean View or Estancia Suite - Two Bedroom. Must be booked by December 31, 2019. The 5% commission override will automatically be applied, and is combinable with any other travel agent commission and/or incentive programs in the market. Applies to new reservations only, existing reservations do not qualify. Not applicable to group reservations. Offer is subject to change without notice. To receive the highest discount, travel April 1 – 13 or April 22 – 30, 2019. Applicable at: Catalonia Playa Maroma and Catalonia Riviera Maya Resort & Spa. Available in all room categories except Super Saver. Book by April 30, 2019, for travel April 1 – December 23, 2019. Unlimited access to fitness center from 8:00 a.m. - 8:00 p.m. Unlimited Inclusions include: Unlimited golf, scuba dives, spa treatments, local tours, beauty salon and barber services. A 25% service fee applied on services used. Details will be provided at check-in. Book by April 30, 2019, for travel April 1 – December 31, 2019.